EVERYONE will be able to enjoy a little bit of country at this year’s Brighton Show on Sunday November 9. There will be family fun entertainment with a new exciting Kiddies Corner on Ferguson Oval with The Girls Brigade of Tasmania in the craft corner, balloons creations by Sally Sunshine, face painting by Mona Leesa Face Painting, dance moves with Mazza’s the House of Dance, kiddies activities with Life Be In It and PCYC – Bridgewater or Lasertag with Tazorb. All these activities are free for children to have fun and enjoy. 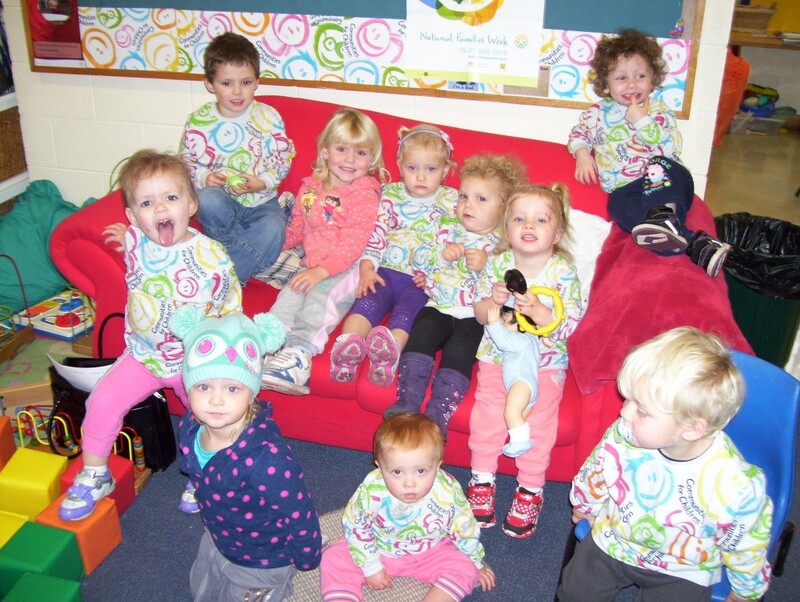 Southern Childcare Services will provide breastfeeding areas and changing facilities. Thompson Oval will host a Get Ready for Speed Shear 2014 competition. Heiniger Australia and all the sponsors are supporting this new competition. Always popular is sideshow alley with fun entertainment, rides and amusement for all ages. In the main hall will be a deer display in the main hall sponsored by the Deer Association and a number of inside stalls from home made goods to hand puppets, baby wear, wooden toys. For the first time the CWA will be selling biscuits and fresh produce. Don’t forget to drop into the CWA Rooms located in the Pontville Hall to see the range of home creations, from cookery, flowers, knitting and crocheting, art, craft and needlework, gemstone and jewellery. Even the men have a section so hopefully there will be a number of ‘man’ cakes in the competition. The Hall of Industries Competition includes photography, Lego construction and a children’s section. Check the website below for details. All the regular events will also be staged again including wood chopping, the agricultural competition sections, stud sheep, goat, beef cattle, pigeon, poultry, fleece, pet guinea pig, dog and pet parade competitions as well as the horse competitions including the miniatures competition in the Western Quarter Horse Arena. As in other years, there will be an animal nursery, chainsaw carving by Eddie Freeman, the bullock display, a demonstration of blade shearing and the vintage display. Boxing demonstrations and the Bugeido Karate School will also be staged for those who like action activities. The Sundown band will be playing throughout the day. The Ute competition is also back with a new host Central Highlands Rural Youth, which will be meeting at the Brighton Bakehouse and convoying to the Show. The very popular baby quest and show girl and show boy competition will be on Fergusson Oval this year. The Dog High Jump will be on Thompson Oval. Organisers are calling for entries in this event which is the only State Championship Dog High Jump in Tasmania. Brighton Show is a smoke free event with designated areas for smoking. The Brighton Football Club’s bar will be open with a designated wet area. 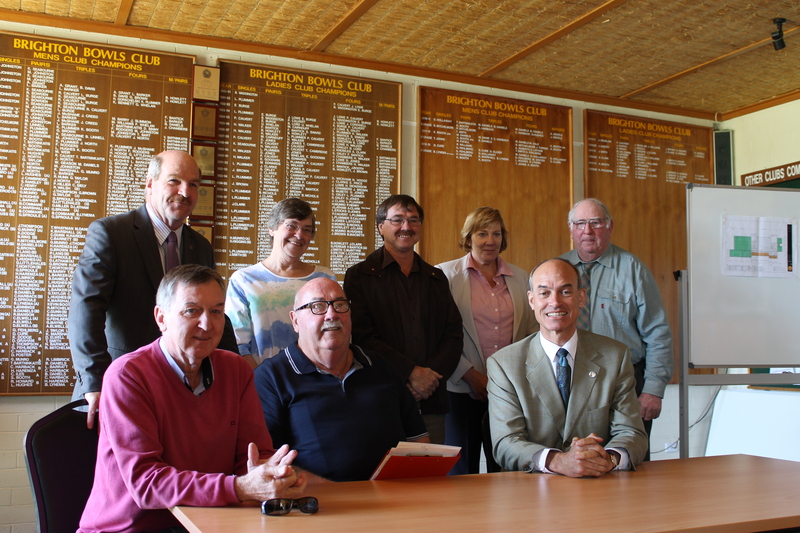 THE State Government recently handed $50,000 to help in the newly established Brighton Bowls and Community Club. The State Government’s funding was welcomed by Brighton Council. At the Tasmanian Government presentation rear, from left, Mark Shelton MP, Cr Moya Jeffries, Cr Peter Geard, Cr Barbara Curran, and Deputy Mayor Geoff Taylor. Seated, Mayor Tony Foster, with Ross Howard, president Brighton Bowls and Community Club, and Guy Barnett MP. 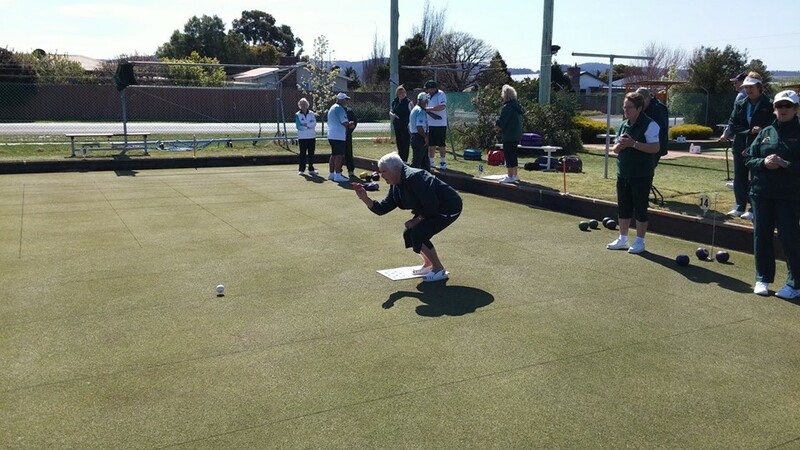 THE Brighton bowls season was officially opened late last month, with Tasmania’s ‘B’ singles champion, Jenny Geappen fulfilling the tradition of rolling the first kitty. Jenny Geappen rolls the first kitty. BRIGHTON has new Australian citizens following a citizenship ceremony recently. Mayor Tony Foster conducted a citizenship ceremony recently with a further ceremony being held as Brighton Community Newsis being distributed this month. From left are Mr and Mrs Bufton, and their two sons. Mrs Bufton is originally from Vietnam and became an Australian citizen during the ceremony. 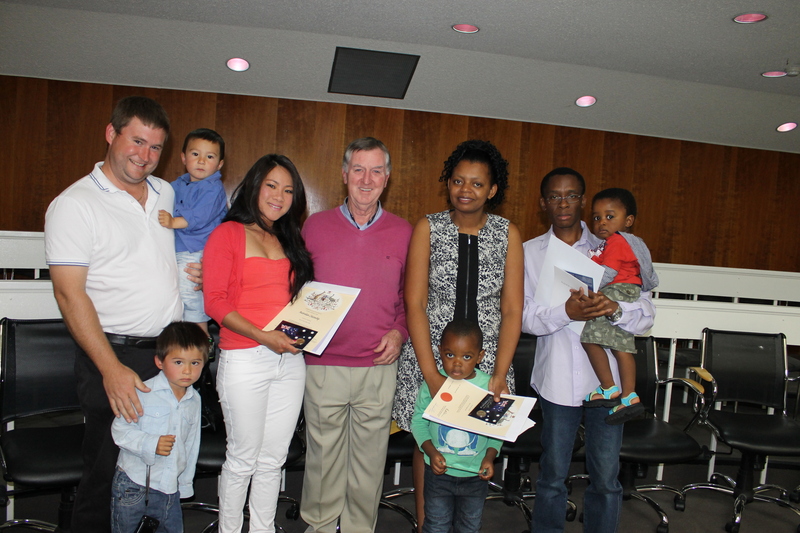 Mr and Mrs Togara from Zimbabwe also received citizenship and were with their two sons, and Mayor Tony Foster, centre. JUDY Wiggins from Delta Dog Safe visited the Good Beginnings programs recently at Gagebrook, Pontville, Holy Rosary and St Paul’s to teach children and parents about dog safety. Gagebrook Play2Learn children, come along and join the fun! 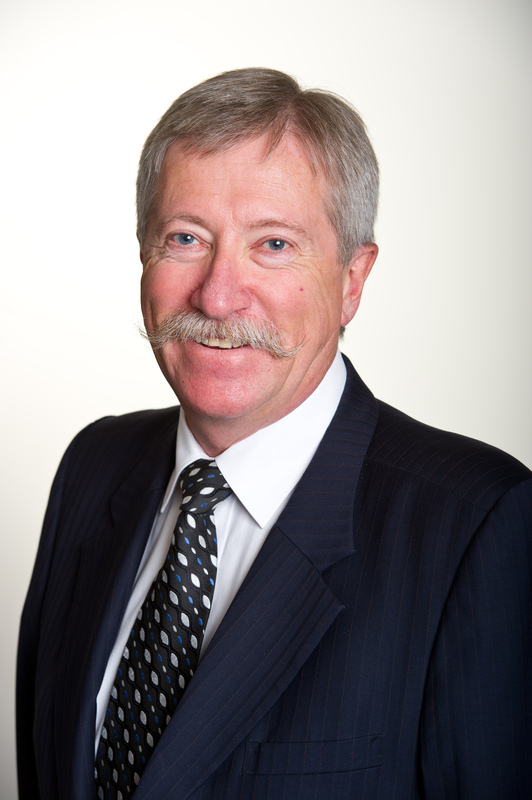 BRIGHTON Council has re-appointed general manager Ron Sanderson for a further five-year term. Mr Sanderson has been Brighton’s general manager since 2005, taking over from his long-serving predecessor Geoff Dodge. Brighton Council’s re-appointed General Manager Ron Sanderson. I WAS DELIGHTED to represent our community at the official launch of an historical agreement between our municipality and the State Government to take over the roadside maintenance of the East Derwent Highway and major roundabouts in our municipality. As you would have read in the front page story of this edition of the Brighton Community News, we are the first council in the State to sign a formal agreement with the Government that allows Council to control roadside maintenance. The roadside mowing, litter pick-up and planting work was previously the responsibility of the Department of Infrastructure, now the Department of State Growth. While the agreement has just been signed, we have already noticed a significant difference in our community with mowing and cleaning up already being undertaken over past weeks by Council staff. The result is absolutely fantastic and already we’ve had some terrific feedback from people who are noticing the difference along the East Derwent Highway. The change in the look of entrances to our municipality is incredible. I am personally thrilled with the outcome because I have been working on this for more than a decade. It’s been such a bugbear of mine to see our highway roadsides look so untidy and trying to get a resolution to the ongoing problem of the state of the vegetation on our main thoroughfares has been a very long journey. It was frustrating to see how untidy some of these areas were becoming particularly during the growing seasons, and we had absolutely no control over our community’s roadsides and verges. This was a State Government responsibility through the former Department of Infrastructure Energy and Resources (DIER). Indeed, as a Council we had been in discussion with successive State Governments for Council to take on the roadside beautification work, but without success until now. You would be aware that the Midland Highway through Brighton was part of the National Highway. I have always believed that people would not stop and shop or want to relocate to Brighton to live while that highway was so untidy. A number of years ago I asked that we set aside $20,000 in our Council budget primarily for cleanup and beautification of the highway through our Municipality even though we did not have ownership or jurisdiction or, indeed, any call to undertake the work. One of the benefits I and other Councillors and Staff have had through personal overseas holidays is that we have had the opportunity to see how other countries and cities maintain and beautify their roads and roundabouts. That is why this has been of concern to myself and others who have wanted to do something here in Brighton and in Tasmania. Regular letters to the editor of our southern daily newspaper have continually pointed to the state of the vegetation with people saying they have been embarrassed by the state of our highways and road verges. So now after 10 years, we finally have a unique agreement that sees our Council take responsibility for these areas. Infrastructure Minister Rene Hidding and his Department saw the merit in this and we’ve now reached this agreement that sees the State Government and Brighton Council sharing the costs. I want to particularly thank Shane Gregory who is General Manager Transport Infrastructure Services in overseeing the successful resolution of the problem. Shane has been fantastic to deal with and we are delighted that through his efforts, we have now come to an agreement that benefits our community. The beautification agreement was officially launched by Minister Hidding and myself and council officers at a ceremony in Bridgewater in the past couple of weeks. As I said earlier our maintenance staff have now taken ownership and have already shown great civic pride in their work and this is already paying dividends in the work they have undertaken to date. I am ‘over the moon’ with the way our outside workforce has taken ownership of this project with such fantastic civic pride. But it is not just up to those of us in Council. I want the whole community to accept our drive for civic pride and do their part in helping us to eliminate litter on our roads. It has to be a whole-of-community approach so I urge everyone to do their bit so that we can be the tidiest municipality in Tasmania. At the same time, I am particularly proud that Brighton is the first Council in the State to reach such an agreement and I hope other councils follow suit. I am sure we are setting a great example for other municipalities to follow and that what we have done will encourage them to negotiate similar agreements. The potential outcome will be neat and clean road verges throughout the State, adding to the beauty of Tasmania for both locals and visitors alike. With a lasting, clean and tidy impression, we can only hope that visitors to our regions will spread the word that we are indeed a very beautiful State, and one very much worth visiting. BRIGHTON Council has reached an historical agreement with the State Government to take over the roadside maintenance of the East Derwent Highway and major roundabouts in the municipality. Brighton Council is the first council in the State to sign a formal agreement with the Government that allows Council to control roadside maintenance. 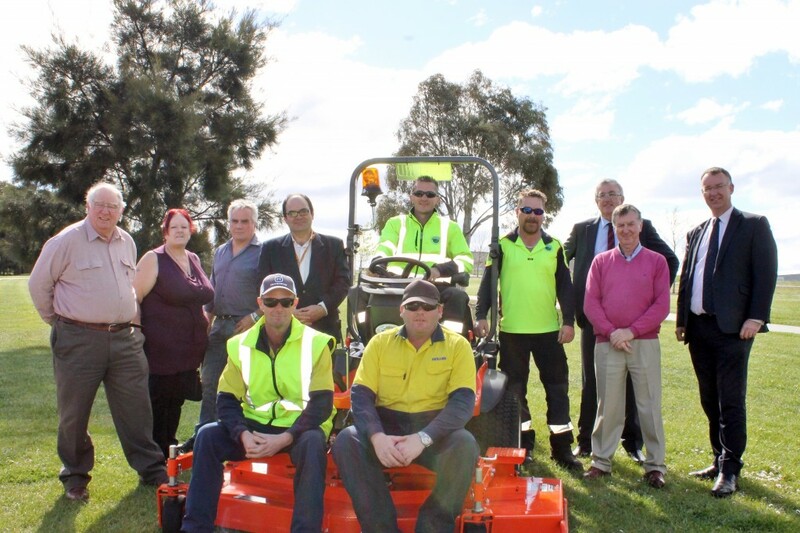 From left, deputy Mayor Geoff Taylor, Cr Sonya Williams, Cr Phil Owen, Cr Leigh Gray, Brighton Council maintenance staff, Matt Dillon (seated on the mower) and Nick Slater, Minister for Infrastructure Rene Hidding, Mayor Tony Foster and Shane Gregory from the Department of State Growth. Seated: Brighton Council maintenance staff Simon Jackson and Dane Cordwell.